As Vice President of Leasing, Eric is responsible for all aspects of the leasing process at Brixton Capital, including direct negotiations with tenants on new leases and renewals as well as overseeing 3rd party real estate brokers and attorneys. Eric is also heavily involved in the processing of development entitlements and permits, coordinating efforts with project consultants, and managing project budgets and schedules. 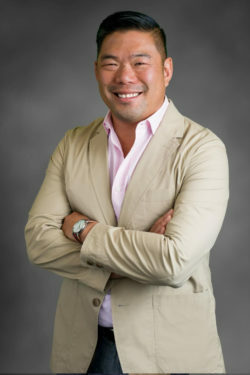 Prior to joining Brixton Capital, Eric worked for Regency Centers (NYSE: REG) as a Senior Leasing Agent for 16 years where he had tours of duty in Regency’s Seattle, Portland, Los Angeles, and San Diego Offices. Before joining Regency Centers, Eric was a Retail Leasing Broker at Grubb & Ellis in Portland, Oregon. During the course of his leasing career, Eric has completed over 1,000 transactions and has been involved in all types of leasing projects including ground up development, mixed-use projects, ground leases, anchor leasing, build -to-suit, and the repositioning of entire shopping centers. Eric is a graduate of the University of Redlands, where he earned a Bachelor of Science in Environmental Studies. He is an active member of International Council of Shopping Centers (ICSC) and a dedicated volunteer for the Boy Scouts of America, Habitat for Humanity, and the United Way. Contact Eric at (858) 683-7100 or eli@brixtoncapital.com .